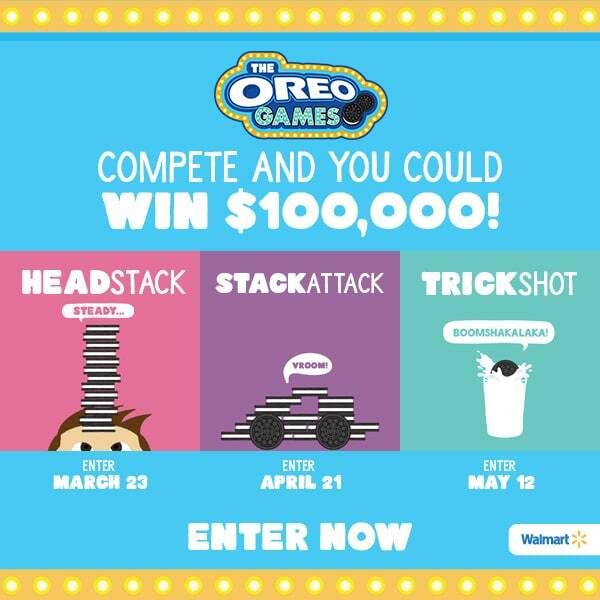 Don’t miss your chance to play along in the OREO Games. Participate in super fun challenges and vote for your favorites. The prize is HUGE at $100,000! 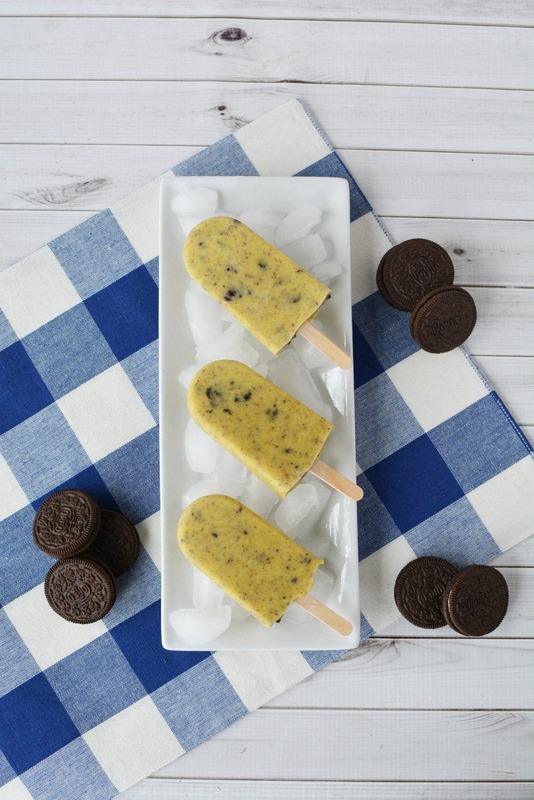 An OREO Pudding Pops recipe is a perfect treat on warm days. Of course, OREO cookies are delicious on their own, but the recipe creations using Milk’s Favorite Cookie are endless. Post sponsored by Mirum Shopper. Opinions are 100% my own. Remember when I stacked OREO cookies on Mike’s head for the OREO Games Contest? Well, now it’s time to vote! The voting period for the Head Stack challenge is from 4/21 – 5/11. Vote for your favorite participant. Ahem, hopefully, US. 😉 I mean, we also have puppies in our entry. 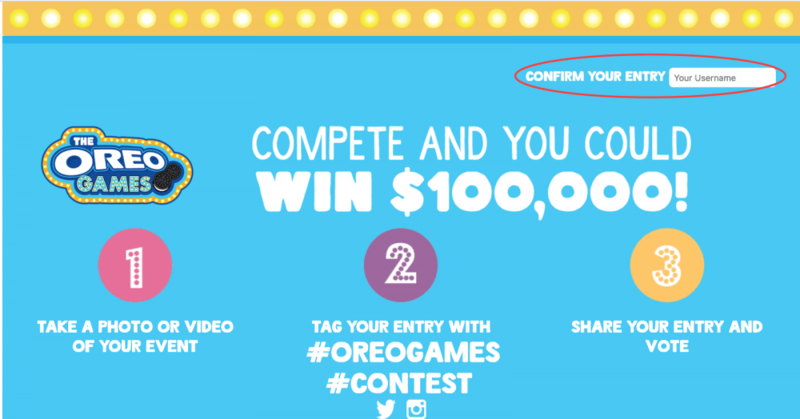 There are still other games going on during the #OreoGames #Contest. Participate in the Stack Attack until May 11th and then Trick Shot challenge beginning May 12th. Mark your calendar to come back during each voting period. As funny as these challenges are, the prize is no joke. We are talking about $100,000 up for grabs. So great creative! If your challenge goes all sorts of wrong, don’t trash your creations. Come back for the Epic Fails round of the contest which begins on June 9th. I’ll be honest; I am looking forward to seeing the fails the most. It’s almost like a bloopers reel at the end of a movie. Votes are taken into consideration, but ultimately, winners are determined by Mondelez/HW/Mirum. After you stock up on OREO cookies from Walmart, here’s a delicious recipe to create. 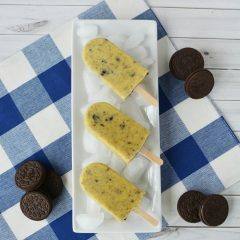 Not that OREOs need any modification, but an easy OREO pudding pops recipe will make the whole family feel like winners. 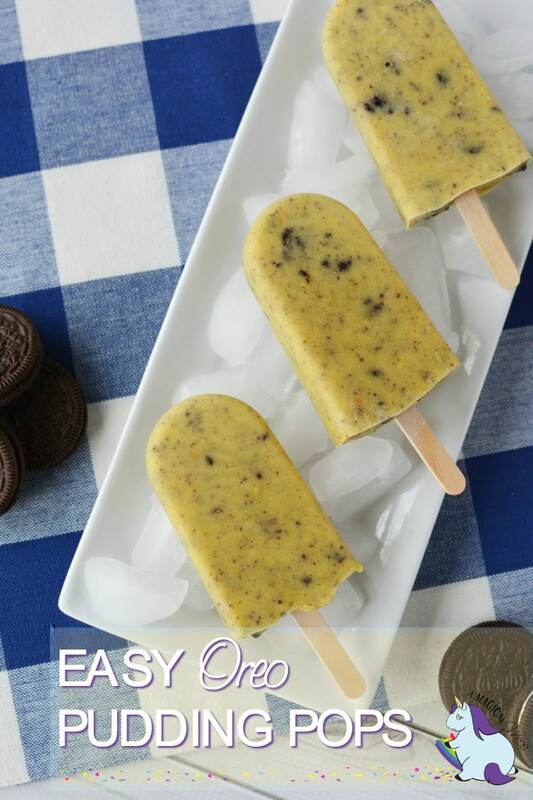 OREO pudding pops are easy to make. Whip up a batch for a cool summer treat! Add pudding to a large mixing bowl. Whisk in milk for two minutes until all lumps are gone. Spoon mixture into popsicle molds and add a stick. To remove from the mold, run under hot water for about 15 seconds and pull from the mold. Store in a sealed bag in the freezer. I like to use a tart shaper bowl to crush my OREOS. The shaper is also great for making tarts in a mini muffin pan. I used French vanilla pudding this time, but the cheesecake flavor is amazing, as well. The size of my frozen pop molds is 2 ounces which gets you 6-8 pops out of this recipe. Next make Strawberry Cheesecake popsicles. Of course, you can use any flavor OREO cookie and any flavor pudding. 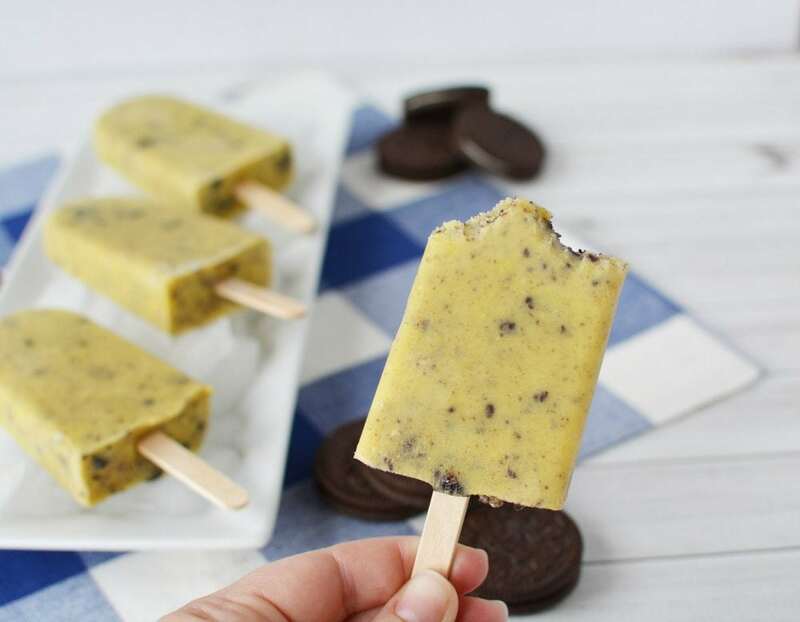 Experiment to make all sorts of delicious OREO pudding pops recipes! Let us know what you come up with. Don’t forget to join the OREO Games and VOTE! Oreo cookies by themselves I am not that big of a fan of them. But, you put them in a recipe, and they are great. That includes these pudding pops. I would love to try these. You had me at Oreo. Seriously, is there anything that a good dose of Oreo couldn’t make better? I think not. My husband would LOVE these. He likes anything Oreo. These would make a great cool snack in Summer. Yum. Those look delicious! I really need to try making these when the weather gets warmer. This is like a real homemade version of cookies and cream ice cream! I like it. This is the best way to eat Oreo cookies as far as I am concerned. First of all, these pudding pops look amazing! I love all things Oreo – yum! Also, I can’t wait to see the epic fails of the Oreo challenge, they are bound to be hysterical! i love oreos and i ust try out this recipe. i love how it looks with the pudding and oreos all those specks makes it all worth to make . i appreciate all that you do . 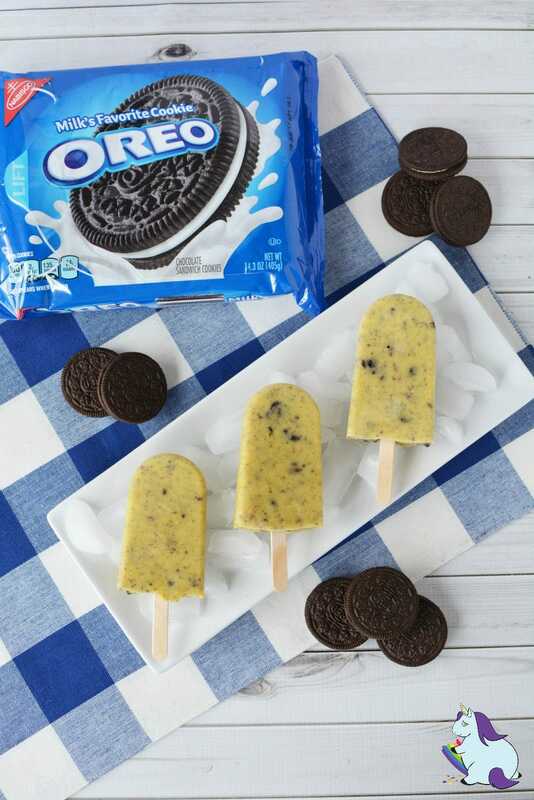 These oreo pudding pops look amazing. 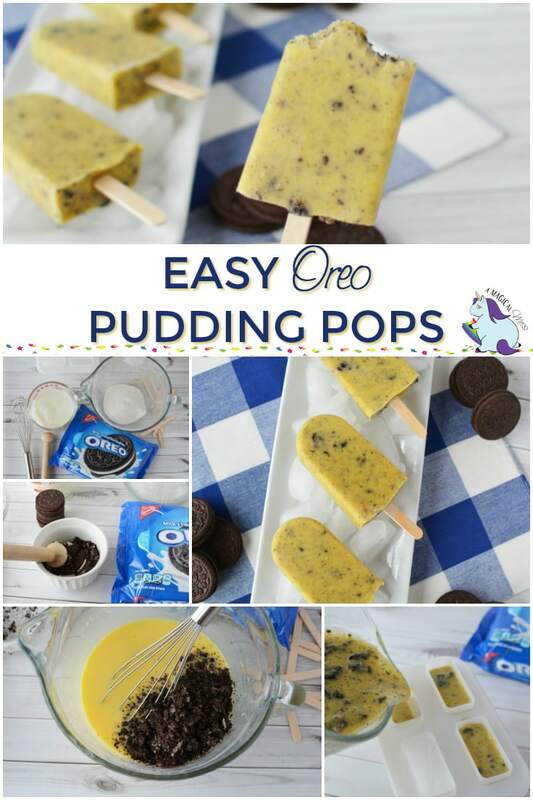 The easy Oreo Pudding pops look tasty and would be a big hit in my house! You’ve got a winner recipe here! These look delicious! If the contest is over you should change the tweet sent out so it just advertises the recipe.